Tuesday 5:30 – 5:50 p.m.
Wednesday 7:30 – 7:50 a.m.
Friday 7:30 – 7:50 a.m.
By appointment – Please call the parish office at 649-4811 to schedule. Please see the parish bulletin for times. 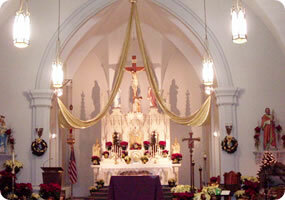 If schools are closed for inclement weather, Adoration will be cancelled.